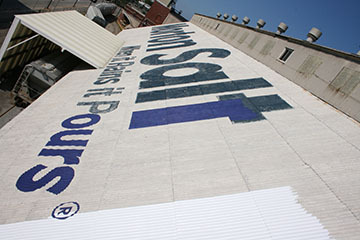 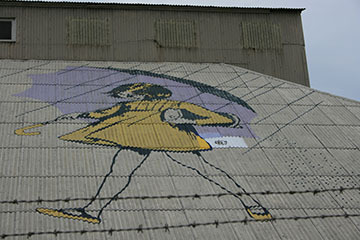 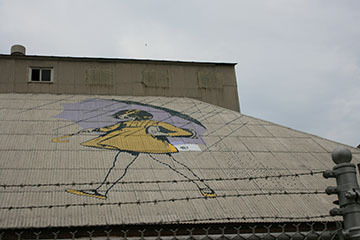 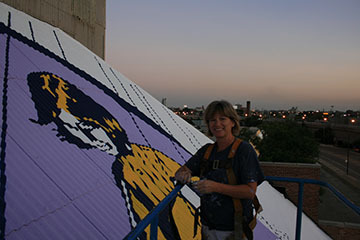 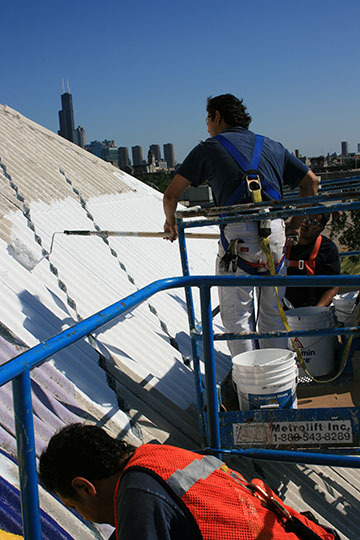 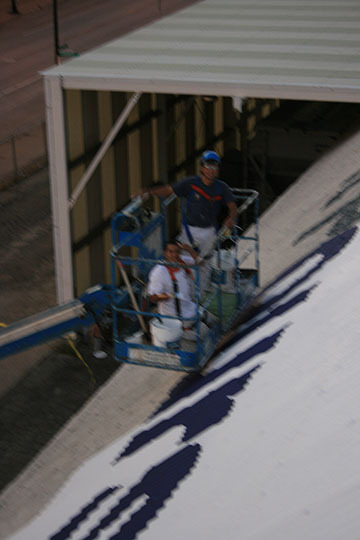 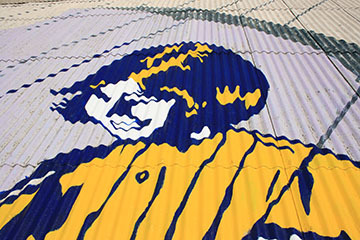 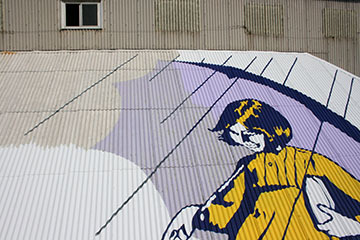 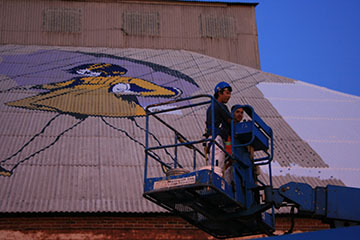 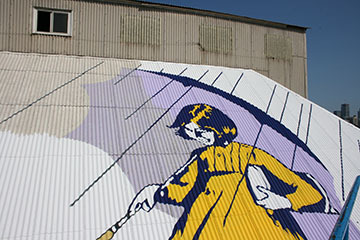 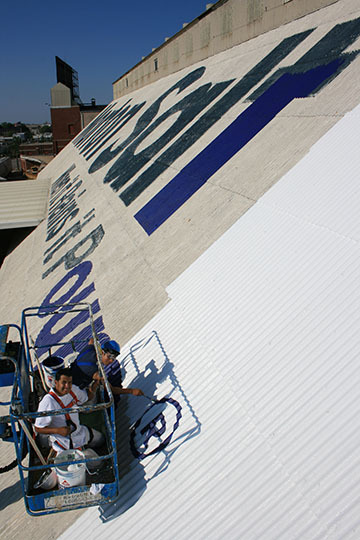 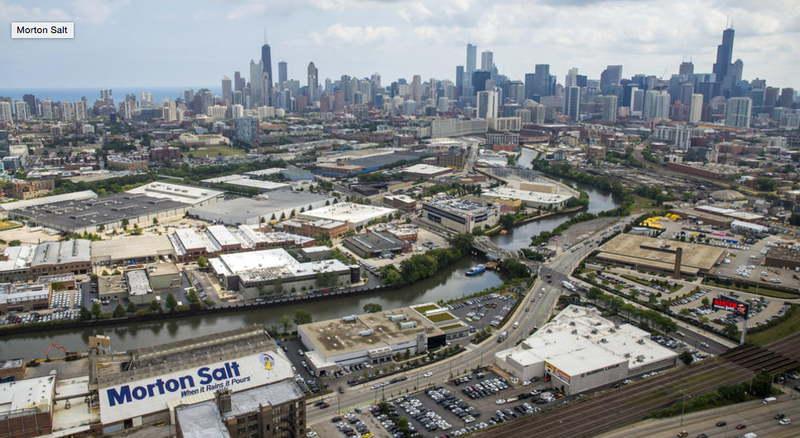 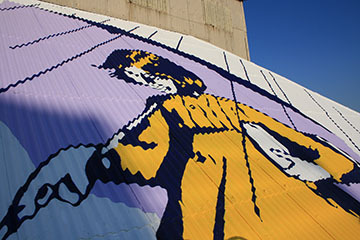 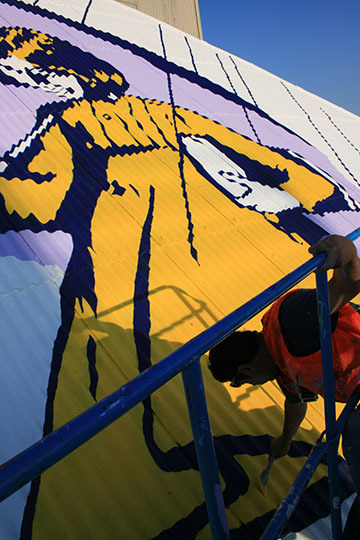 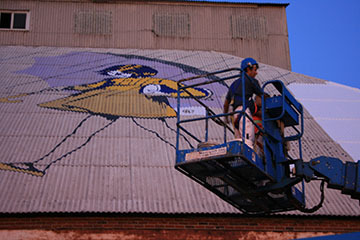 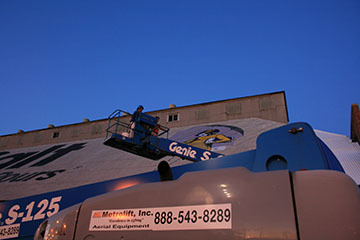 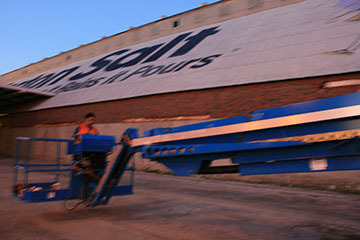 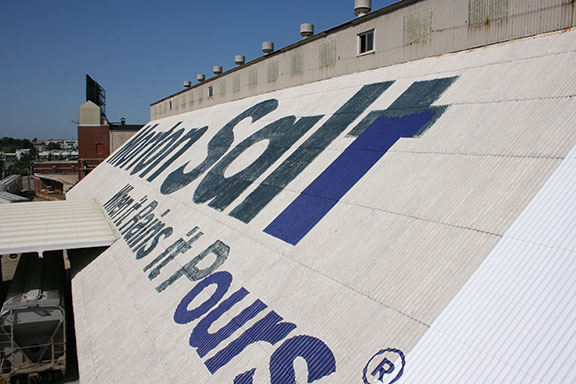 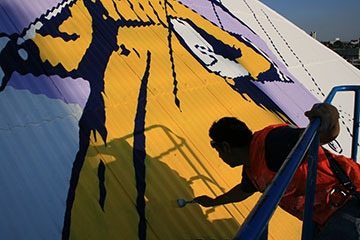 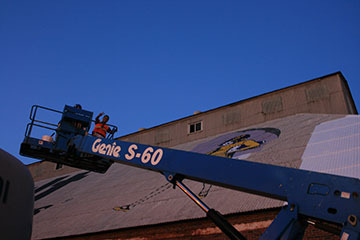 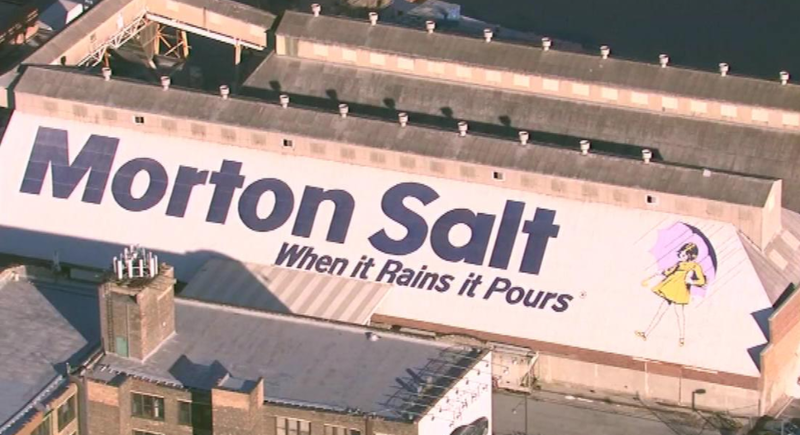 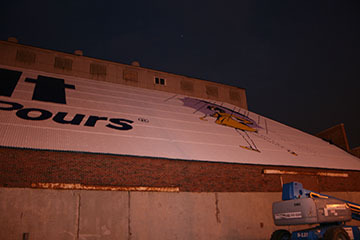 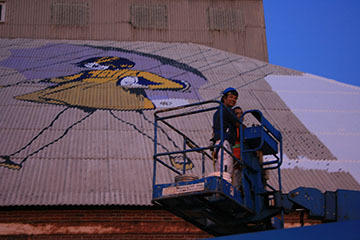 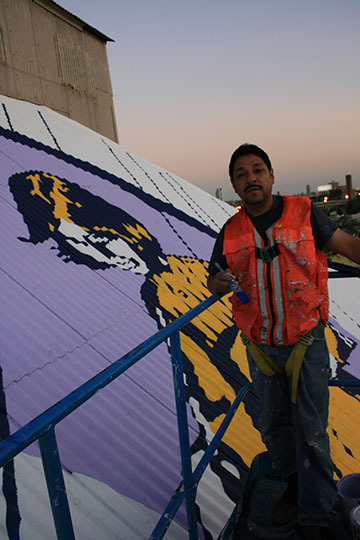 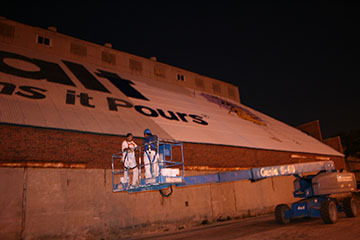 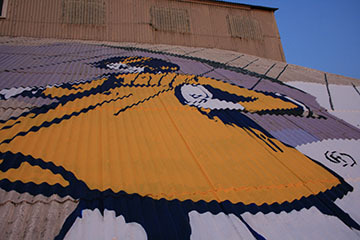 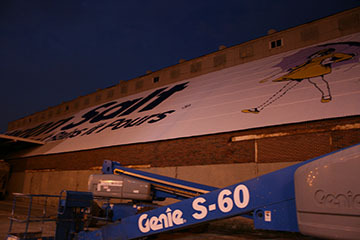 Daprato Rigali was contracted to paint the famous Morton Salt Roof in Chicago, IL. 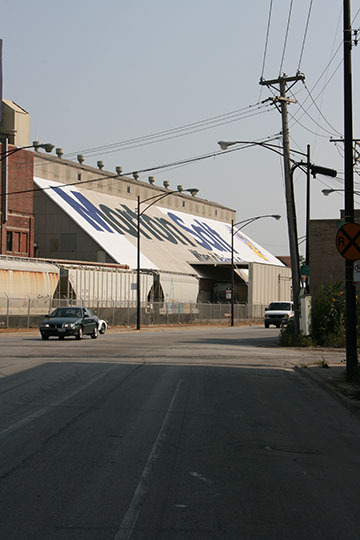 The notable Chicago roof is visible from the Kennedy Expressway (I-90). 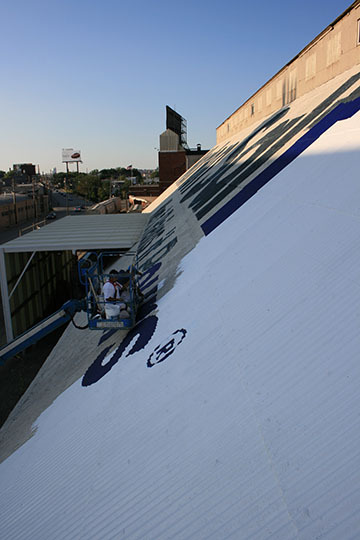 The roof had started to fade after several years of deferred maintenance and our team was hired to come in and make the famous roof shine once again. 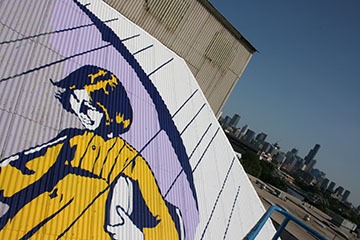 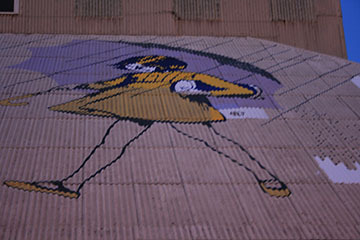 We used specialized exterior paint to protect against the brutal Chicago weather – the new roof and Morton Salt Girl now has a rejuvenated appearance. 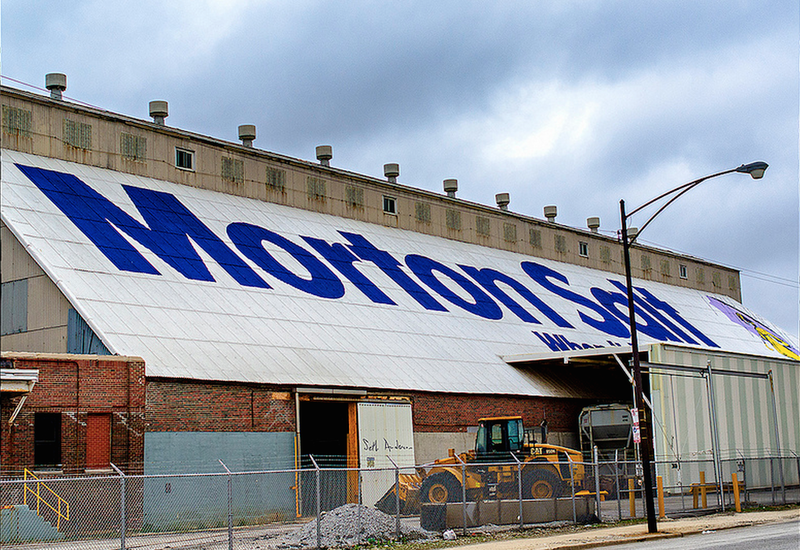 The project also presented several interesting scaffolding and access challenges, which we were able to overcome and deliver a beautiful and bright new roof for Morton Salt.